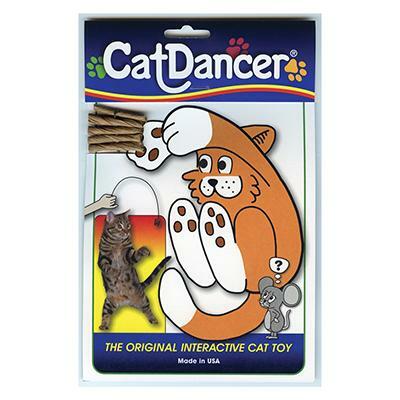 The Original Cat Dancer. 30 inches of piano wire with paper rolls at the end. 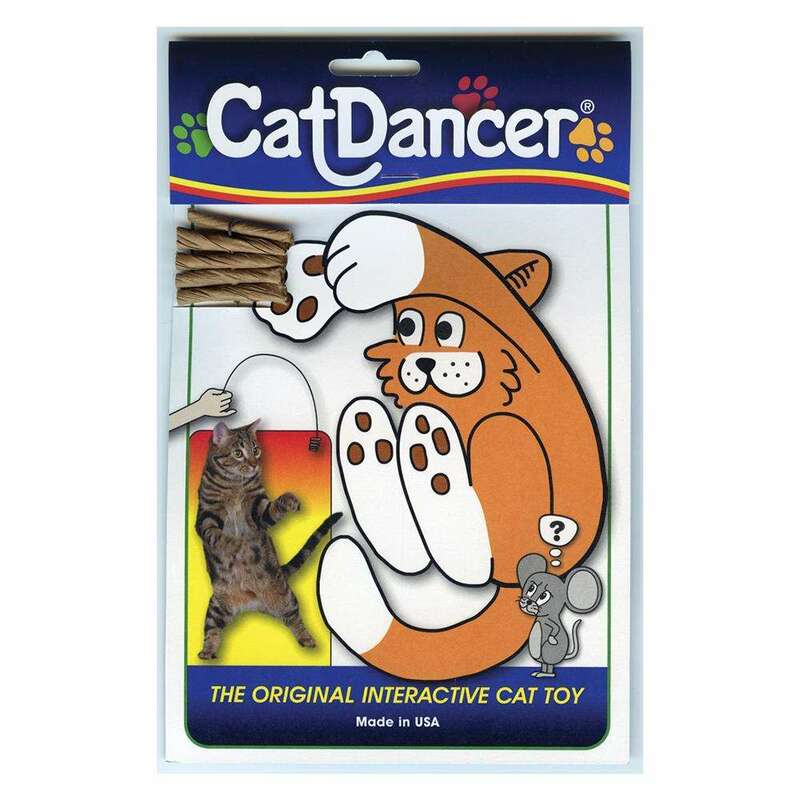 Holding Cat Dancer lightly between your thumb and forefinger will remind your cat of its favorite things like birds, butterflies, and scampering mice.